7.1 USB Surround Sound Computer Gaming Headset: Plug and play, high precision 50mm driver, surprisingly crisp and clear simulated 7.1 sound. 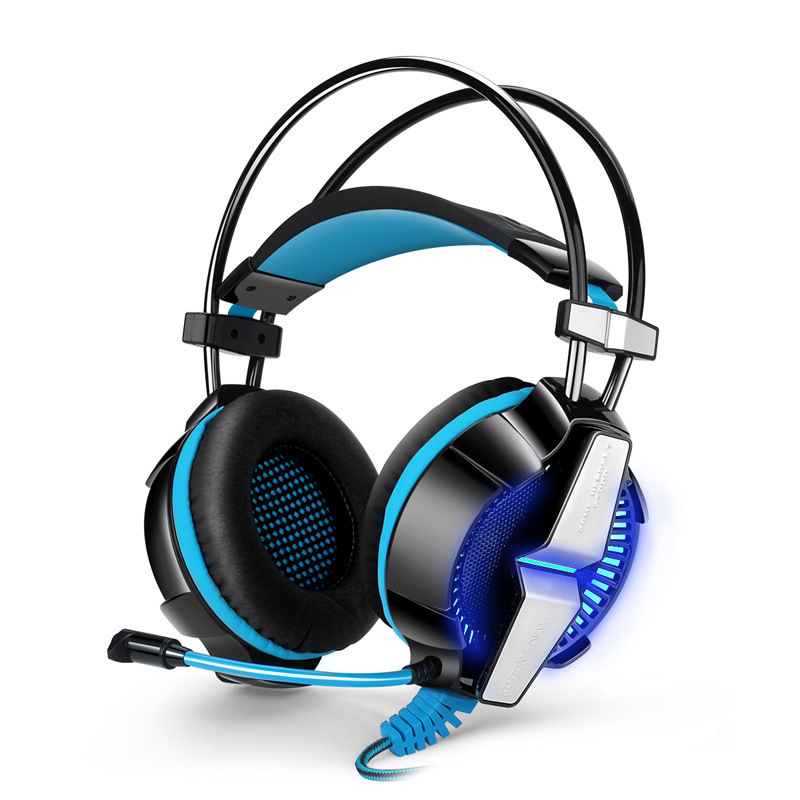 Good volume and bass sound, bring you vivid sound field, sound clarity, sound shock feeling, capable of various games. Adjustable vibration mode is a cool effect as well and add to the immersive game experience. CD Driver Software is Included: Wanna be more amazing sound effect? You can set different sound effect as you wish through its included CD driver. This software is compatible with Windows XP, Windows 7, Windows 8, Windows 8.1 and Windows 10 (but Mac O.S excluded). This KOTION EACH G7000 will be a great gaming headphone for your favorite games! In-line Control: Tangle free heavy duty braided 2.2m/7.22ft cable with USB connector (USB plug is built-in sound card, headset can be used even your computer sound card is broken). Smart in-line Remote Control function: Vibration (off-weak-strong), LED light on/off, Volume+/-, Microphone Mute and Headphone Sound Mute. Comfortable wearing and high performance: Adopted smart suspension headband, it can be twisted without deformation, reliable quality and durable to use. Headband is inserted a soft pad. The part that fits on the top of the head moves up and down on its own self-adjusting according to who is wearing them, without pressure even a long time wearing.A great Gaming headphone to use every day. Exquisite Craftsmanship and Fashion Appearance: Domineering ear cups, piano lacquer surface process, metal decorative accessories and glaring LED light, outstanding appearance in comparison with other gaming headphones.